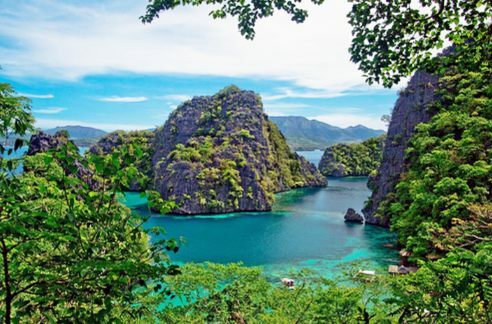 EVA Air is showing flights from Vancouver to Manila, Philippines (MNL) for $760 to $780 CAD roundtrip including taxes. The flights have 1 stop each way, in Taipei. For longer trips, you can try mixing and matching the departure/return dates from above when you get to Kayak. (Hit the 'Change' button). 2. Click through from Kayak to Expedia.ca or FlightHub or directly to EVA Air's website for booking. Clicking through from Kayak to the EVA Air website doesn't seem to work very well, you still need to search manually (using the same dates you found). vancouver, yvr, flight deals, asia, southeast asia, eva air, manila and philippines. 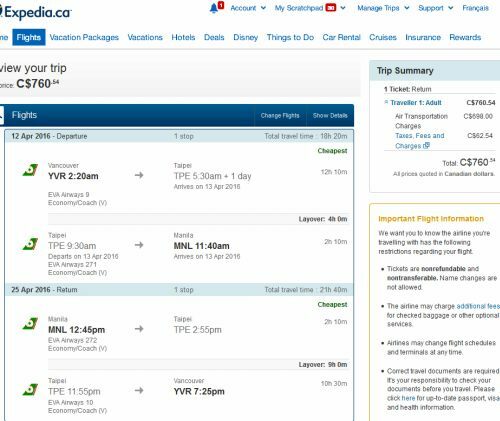 No Responses to "Vancouver to Manila, Philippines - $760 to $780 CAD roundtrip including taxes"